Housekeeping is not what I do best. In fact, mostly I avoid housekeeping. However, I realized that restarting this old blog is going to require a little. A little housekeeping, I mean. As little as possible. Please bear with me. Until this month, I hadn’t posted here since the end of 2016. Seems like my will to blog faded away after the sorry election of that November. Not a single post in all of 2017! After all that time, the blog seemed to need repair. You might notice that I’ve been tinkering with the blog title and the visual theme. I might cull out a few old posts that no longer seem relevant. Maybe fiddle a little with categories, tags, widgets. Housekeeping will be done soon, or I’ll simply give up on it. I’ll turn my attention to blogging. But the posts will be different. Writing will be more concise. My political opinions will be banned. Simplicity will be the focus. I hope to have photos and observations on my new life in Florida. In a day or three, I shall return with a brief outline of the changes necessary to bring me and my life to this time and place. Here’s a new blog of interest to readers who are retired or dreaming of one day being retired. The new blog has a narrow focus. It’s about Retirement, Simplicity, and Aging Gracefully on a fixed income, with a little bit of travel in the mix. If you have an interest in any of those subjects, Retirement Made Simple might be for you. Its target audience is retired folks and workers who are nearing retirement or thinking about it. But surprisingly, many of the readers have been younger adults. Seems that people of all ages are curious about retirement. I hope you find something informative or interesting on the new blog. Let me know what you think. After being an unpredictable (and often absent) blogger this past year, I intend to mend my ways. Since I know blogging is good therapy for me, and at least a few folks are reading, I’m going to pick up the pace. The goal, as always, is to post every day. I know from experience that it’s a hard goal to meet; I don’t expect to accomplish it immediately. I’ll stay the course with this blog — the one you’re reading right now — even with its lack of focus, because it already has a ton of content. I’ve tried starting new blogs, and it doesn’t seem to help. WordPress informs me that I recently passed the 500-post mark here. Thanks WordPress! I already had 500 posts at Maryland On My Mind. 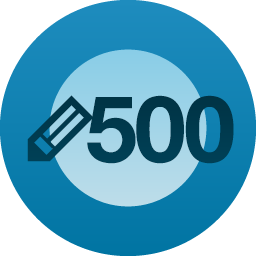 If only I had 500 posts narrowly focused on one or a few subjects. Since I’m such an unfocused writer, I need your help. What do you think I should write about? And what subjects do you think I should avoid? I’m also accepting questions, although I’m short on good answers. Your input is welcomed as comments below, or you can email me at BJohnHayden@icloud.com. Every suggestion is a good suggestion, whether I use it or not. Again, thank you, friends! It’s good to have so many people caring about me. Keep the faith, fellow bloggers! I stumbled upon this post, “Meanwhile” serendipitously via Michelle at “The Green Study.” Thanks to Michelle and also to Wyrd Smythe for putting into words the thoughts I’ve been repressing. Maybe bloggers of a certain maturity are all channeling the same frustrations. It feels like cheating, but since I can’t force myself to write a worthwhile post of my own this week, at least I can repost a really good post by someone else. I find myself feeling “at loose ends.” If you search on that phrase, you find a big part of the definition involves the idea of “not knowing what to do,” although sources differ a bit on whether that’s due to having nothing to do or due to not being able to decide what to do. More to the point, most identify the main feeling: being restless and unsettled. A key reason my ends are loose is obvious given my last post, but this river has other tributaries (I never met a metaphor I couldn’t mix). Certainly in my case, the problem isn’t having nothing to do; I have plenty of projects. The problem is the utter lack of fulfillment in doing most of them. And, sadly, this blog is turning out to be high on that list. It’s fascinating to know that a WordPress blog can be viewed by people all over this wide world. My blog is in fact visited by people from many faraway places. Maybe they should call it WorldPress. I wonder if that URL is available? Most days, my readers are mostly from the U.S. and Canada, followed by a few in the U.K. and/or Australia. Oddly, most days the blog gets a view or three from the Cayman Islands. Why do you suppose my poor blog is on the radar in the Caymans? Yesterday and today have not been ordinary days. Fewer than half my visitors have been in the U.S. The most popular post on my blog these past two days has been “Russian Toilets,” and readers are visiting from many different countries, especially in Europe. My only explanation is that the impending Winter Olympics in Sochi are generating a feeding frenzy for anything and everything about Russia and Sochi. If you’re not a WordPress blogger, you may wonder how I know the location of my readers. On my blog’s stats dashboard, WordPress provides an array of information about the source of readers, including a world map noting the number of visitors from each country. If you’re concerned about privacy, be assured that the map doesn’t identify readers by name, only by country. If you’re interested in totals, then I must honestly say the numbers are modest. Some blogs register traffic in the thousands regularly. My blog rarely breaks into triple digits in a single day, but does hit triple digits every week. For those with a greater interest in readership gossip, yesterday I had visitors from the U.S. and Canada, plus visitors from nearly every small country in Europe, plus the U.K., Germany and Poland. But none from France or Spain. I can only guess that people in France and Spain prefer to read blogs in their own language, while most others throughout Europe know English and use it when they wish. Also yesterday, something unusual — seven visits from Trinidad and Tobago! But not one from the Caymans. And oddly, not a single visit from any continent other than North America and Europe. Today, the interest in Russian Toilets, or whatever, expanded to include five visitors from Ukraine, plus two each from Russia, Australia, and the Caymans. And one visitor from Hong Kong! Still not a single visitor yesterday or today from South America or Africa, though I have had a few from those continents in the past. Blog readers of the world: Unburden yourselves! Please comment at will. What would you like to read about? I take requests.